Discover the power of the Sharingan with our amazing Kakashi Contact Lenses! Using the eye, Kakashi can use a technique which appears to collapse space in around a focus point and transport it to another location. 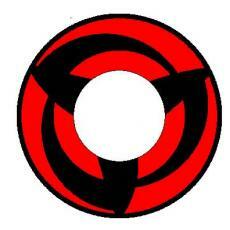 It was thought that one had to kill their best friend to acquire the Mangekyo Sharingan. Are you an anime fan? Then surely the lure of having eyes like Kakashi Mangekyou is almost irresistible. Get yourself a pair of such contacts from cococontacts.com and you can be just like your favorite anime. Show it off to your friends! Coco Contact’s Wild lenses are meant to be worn solely for cosmetic purposes. They do not come with prescription and will not improve your vision in anyway. Please do not wear them on top of other lenses and closely follow the guide on how to wear, clean and use them. Visit an optometrist every 2 years to ensure the health of your eyes. Unleash your power with these Madara Anime Contact Lenses! Discover the power of the Sharingan with our amazing Kakashi Contact Lenses!